AC/DC will launch its own Rock Or Bust beer in Australia via ALDI Supermarkets on September 30. The Shout reports the beer will be available in time for the Australian leg of the band's world tour of the same name, which starts in Sydney on November 4. The pale lager is made by German brewery Karlsberg and has been brewed to the "Reinheitsgebot", the German Beer Purity law of 1516. 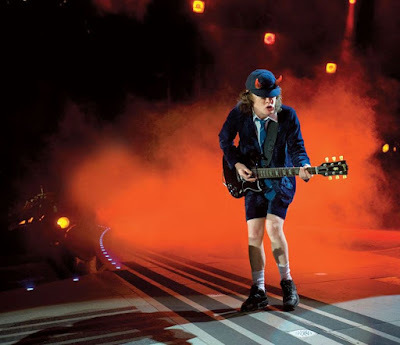 "We’re very excited to celebrate AC/DC's legendary rock status with the launch of AC/DC Beer in Australia,” said an ALDI Australia spokesperson. “The combination of great German Beer and Aussie Hard Rock just seems like a match made in heaven." AC/DC are currently playing dates on their North American tour, which will wrap up at Dodger Stadium in Los Angeles on September 28.